Home » Atoll News » Etheriel 5 – OSCC After Party! Etheriel 5 – OSCC After Party! 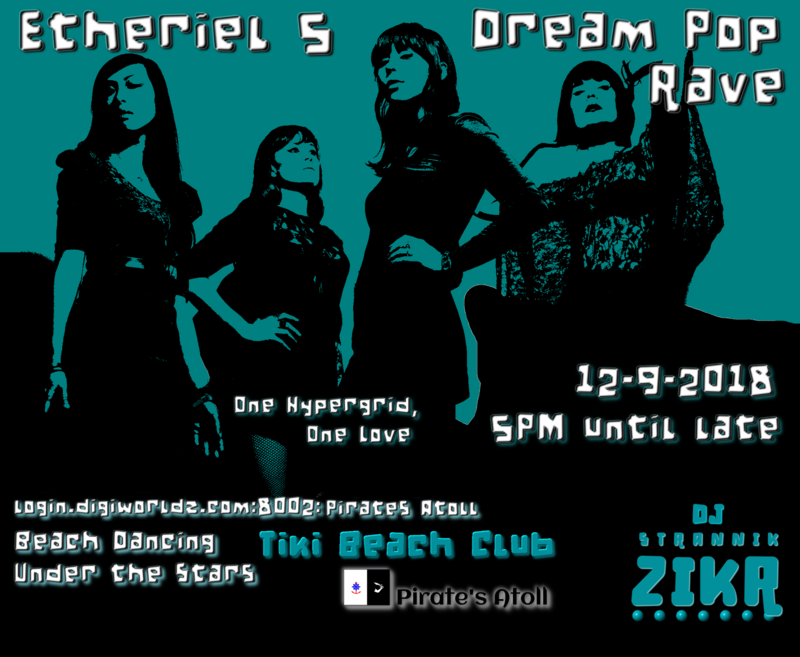 For the fifth year in a row, DJ Strannik Z brings you the ultimate afterparty on the beach of Pirate’s Atoll! This is to follow the Open Simulator Community Conference. The usual instructions for how to get there are at this link. After arriving in the main station, there will be a linked poster, or you can take the Tiki Beach subway stop to get to the party.